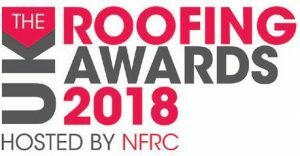 Hosted by the National Federation of Roofing Contractors (NFRC), the awards serve to recognise and reward outstanding standards of workmanship and technical excellence across the roofing industry, with SIG Roofing as headline sponsor for this year’s event. For more than ten years SIG Roofing has sponsored the event including the ‘Roof of the Year’ award, and this year, they have teamed up with the NFRC to offer a new category, ‘Local Hero’, which aims to celebrate the work of contractors that often gets overlooked. Janine Brady, marketing manager of SIG Roofing, said: “We are thrilled to be headline sponsor for the awards again. They are a highlight in the roofing calendar that showcase the excellent standards of roofing projects completed each year in the UK. The awards scheme, which is in its 12th consecutive year, is the most prestigious in the roofing sector and celebrates the very best in the industry across 14 categories. The categories highlight beautiful structures, outstanding workmanship, superior problem solving, environmental qualities and contribution to the built environment. Amanda Brackey, head of marketing and communications at the NFRC, said: “We are delighted to be working with SIG Roofing again. For more than ten years they have supported the awards and it is a testament to their commitment at recognising great achievements within the roofing community that enables the awards to continue. The winners of the awards will be unveiled at a glittering luncheon on Friday 11th May at the Park Plaza Westminster Bridge Hotel in London. To nominate your local hero, please visit: http://www.sigroofing.co.uk/local-hero/. Deadline for nomination is 20th April 2018.